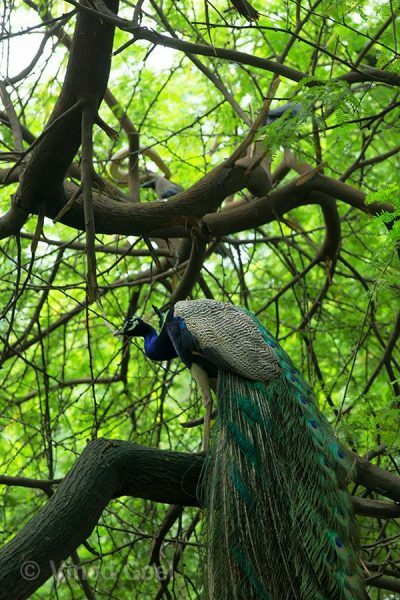 Any literature on the food of the peafowls would indicates that they are omnivorous and eat plants , seeds and insects including small creatures such as reptiles and amphibians. They are called Mayura in Sanskrit and Hindi language. Mayura means killer of snakes. The available literature indicates that they feed on small snakes and avoid big ones. As you are aware that the month of Shravan is dedicated to Lord Shiva and it is believed that if you worship with a clear intent and heart Lord Shiva would bless you and fulfill your desired wish. 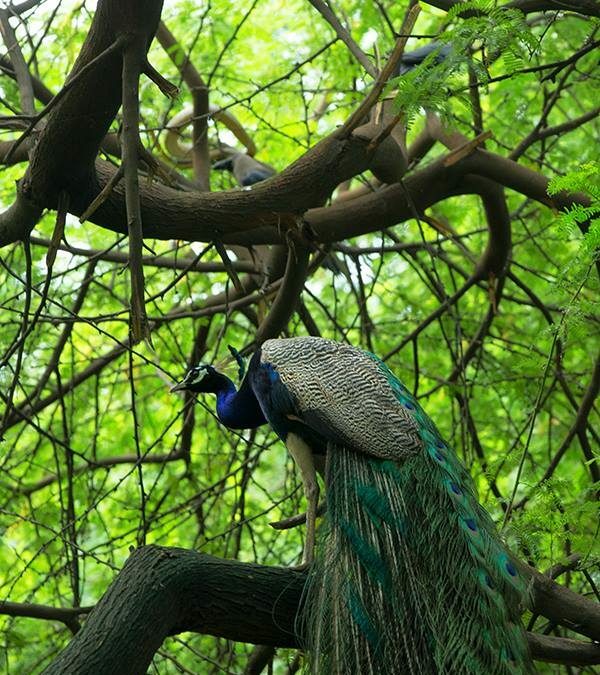 I had a wish to see a peacock and a snake in the same frame in the wild. Shravan month is the time when there is greenry all around. The snakes do come out of their den to satisfy their hunger as they know that they would have plenty of chicks on the trees. 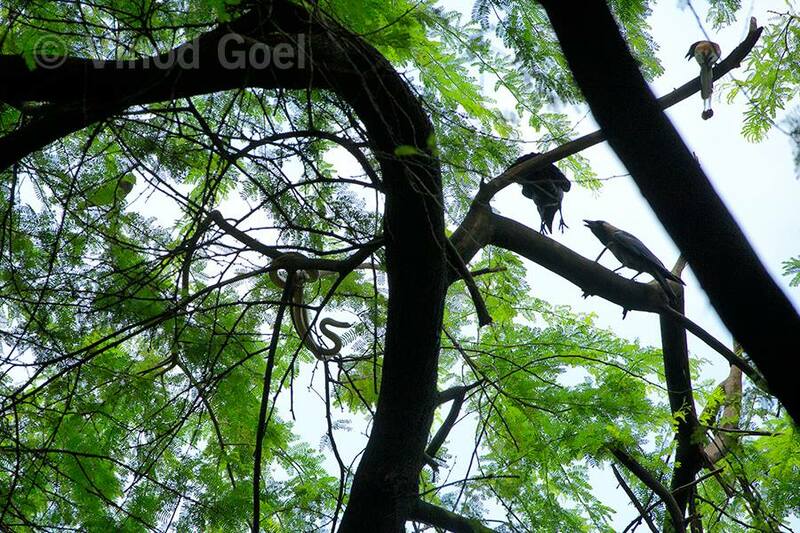 While I was shooting in the heart of Delhi I heard a sound of treepies on a tree. Initially I ignored it but when it did not stop I thought of seeing it. When I went closer I was surprised to see a BIG RAT SNAKE ON THE CANOPY OF A tree and birds such as house crow, babbler and mynas making noise. 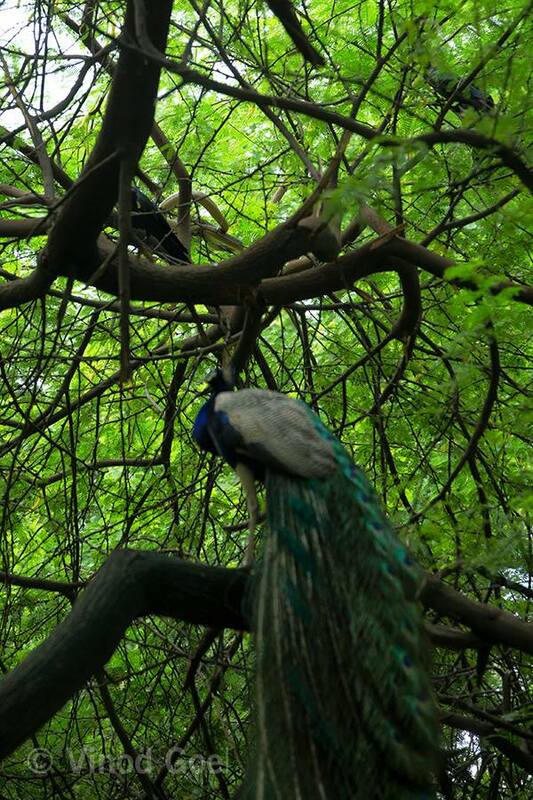 I also observed a peacock about 5 feet from the snake . Immediately took a shot to cover them in a frame. One such frame is before you to enjoy. This was on 23rd of July 2017 in Delhi.